Mrs. E and the MD: We did it! 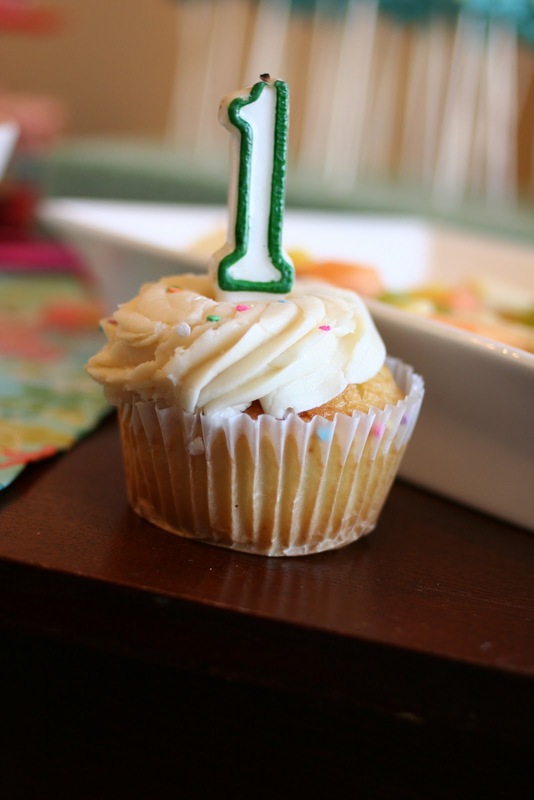 There is a sense of accomplishment that comes with celebrating your child's first birthday. Kind of like..."Look at us! She is one year old and not messed up yet!" Maybe the better way to say that is, "Look at us! She is happy, healthy, and has a full life ahead of her." Either way, we feel like it is a big deal. Friday was the day, so I took a half day because I wanted to spend the afternoon with Noelle and Luke. Noelle celebrated her birthday at daycare with her "friends" as they are all called. The ladies even gave her some cake. I took Noelle out to Wes-Del to surprise my mom. Judging by the way she squealed when we walked in, I would say the mission was completed! I had fun taking Noelle around our old school. I also had this pit in my stomach as I saw all the middle and high school kids, thinking to myself that these kids used to be Noelle's size, and somewhere their parents are sad that they aren't little anymore. It made me cling tighter to my seven-toothed wonder. Luke, Noelle, and I met for lunch at O'Charley's and then took her home before her 1 year doctor's appointment! Noelle had a great check-up with Dr. Woodworth, who we absolutely love as our pediatrician. She is so laid back and always reassures us that Noelle is as perfect as we think she is! Noelle is absolutely healthy, weighing in at just under 23 lbs (around 75th percentile). We do question the measurement of her height, because we measured her last week and got 27 inches, which according to a growth chart we found online, it put her around the 10th percentile (which had us concerned). 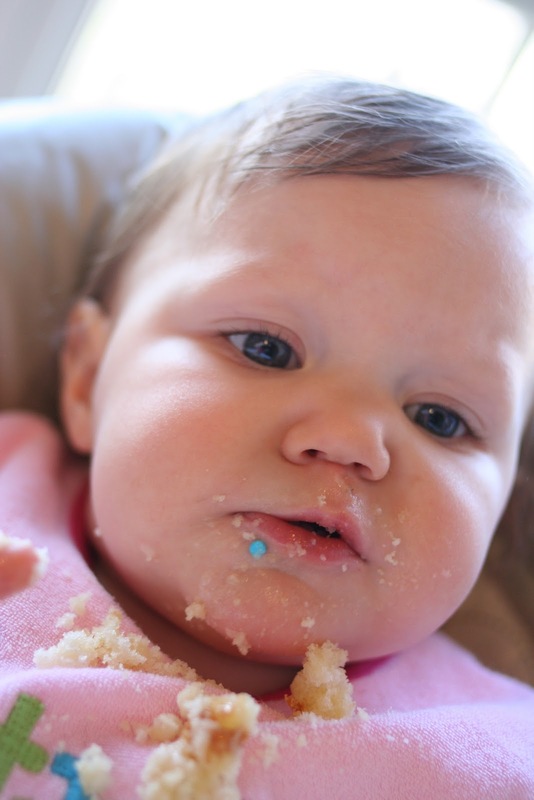 The nurse measured Noelle at 30", so that had her in the 90th percentile. The way they measure is by putting Noelle on the paper on the table and then marking a line at her head and her feet, then measuring the distance on the paper. When we laid Noelle back down on the paper when it was time for her shots, she was definitely shorter than the distance between the two lines, so we are going to say she is somewhere between 27-30" in length, which is somewhere between the 10th-90th percentiles! Either way, she is great. She even showed off her ability to stand alone and take a few steps by herself, which was great! 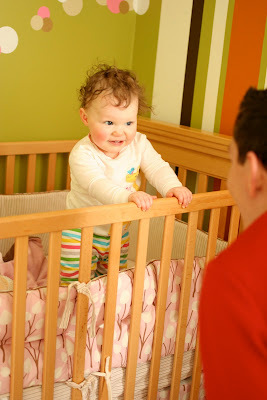 We will see Dr. Woodworth again in June for Noelle's 15 month check-up. Later that evening, Elizabeth and Liz came over to help with the assembly of the bird pops for the "bird-day" party. We had a lot of fun putting those things together. The next day was spent cleaning and preparing all of the food for the party. At 4:00, we were ready for guests, and we had plenty of them! Our house was FULL of people, ready to celebrate Miss Noelle's first year of life. We had yummy food, and Noelle enjoyed a cupcake from The Flying Cupcake. She REALLY enjoyed it! She almost ate the whole thing! The candle on Noelle's cupcake was the same candle my parents used for my first birthday. Noelle needed a little help blowing it out, though. Noelle received a lot of great gifts, and surprisingly, she was REALLY into the gifts. She wasn't your typical child, wanting to play with the boxes or just throw the gifts behind her. She was into looking at each one, touching them, holding them, and playing with them. This made it nice for the people who gave her the gift-- I feel like her sincere love of the gift was a great thank you for their generosity. 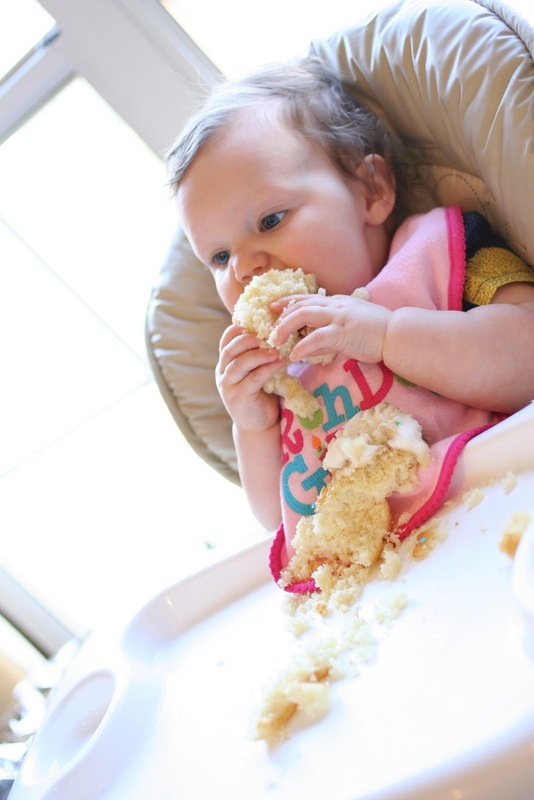 I am working on a video montage of her first year in pictures, but as soon as I start on it, I get emotional and quit. This has been my M.O. lately. If something makes me sad or scared, I shove it to the back of my mind and forget about it for a while. Now that the party is over and we have an official ONE year old, I have to address other issues in my life...first and foremost, Match Day on Thursday and all that comes with it. I am trying so hard to be positive and enjoy this incredible time in our lives, but I have never been one for change. All I can hope is that I am in fact a lot stronger than I think I am, and that I will tackle any challenge ahead of me. Anyway-- Happy Birthday to our sweet, lovable, wonderful Noelle...our reason for breathing. It's impossible to look at her sweet face and NOT want to be a better person. She will do great things for this world. All of our lives are richer because she is in it!